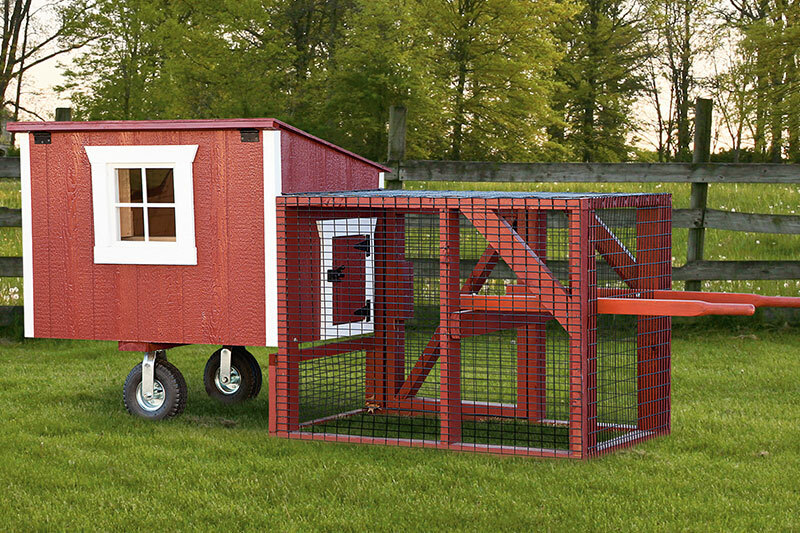 Sometimes having moveable chicken coops is exactly what is needed! 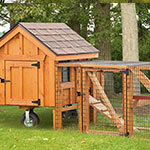 If you are looking for a portable chicken coop, there are two options available. 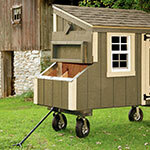 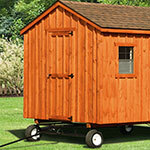 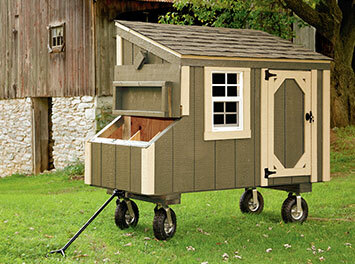 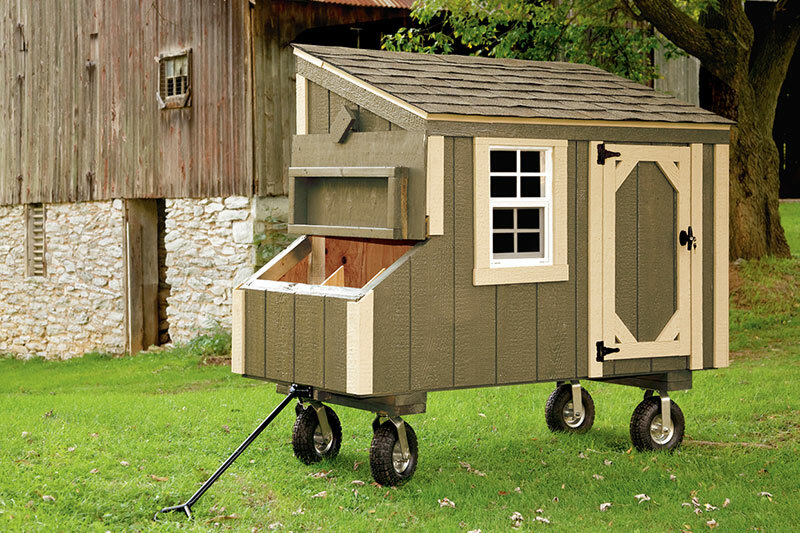 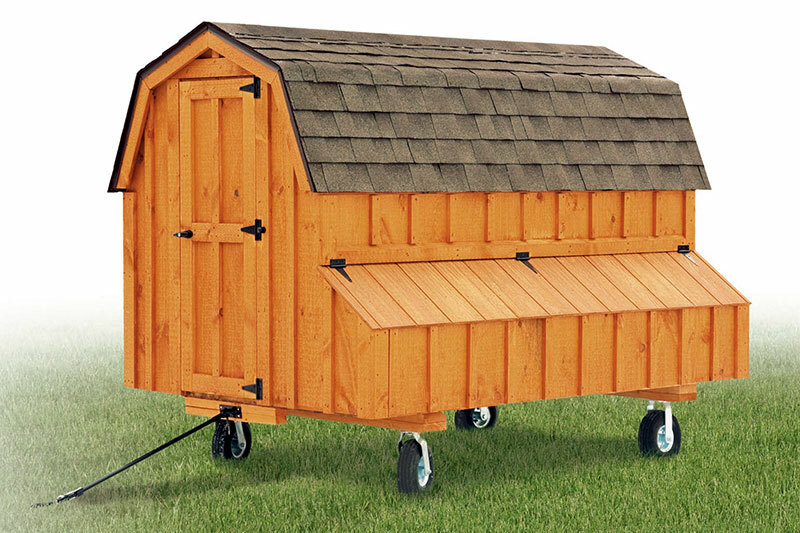 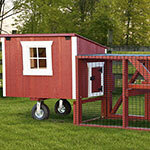 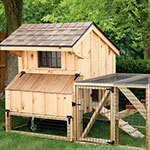 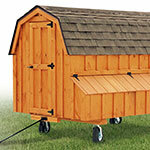 Wheels can be added to a chicken coop to make moving your coop much easier. 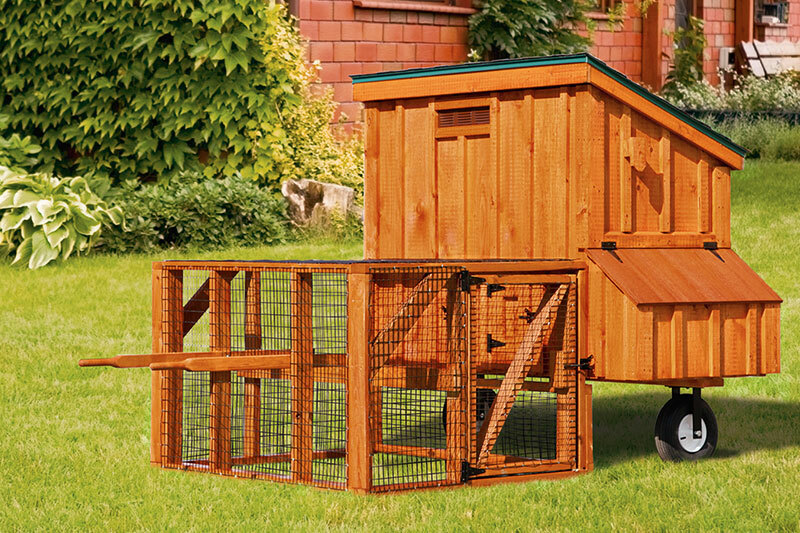 Some coops support the wheelbarrow system while others use a four-wheel system with steering handle. 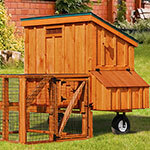 We also offer Tractor coops, which include a coop with nesting boxes and roost, 2 wheels and wheelbarrow handles. 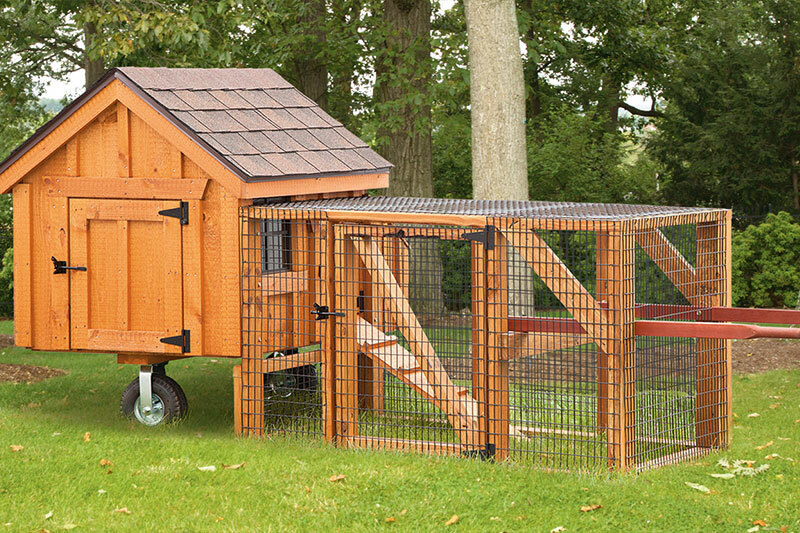 There are a variety of styles and sizes available, using 5/8” pressure treated wood and Tech Shield Roofing to keep your coop cool in warm weather. 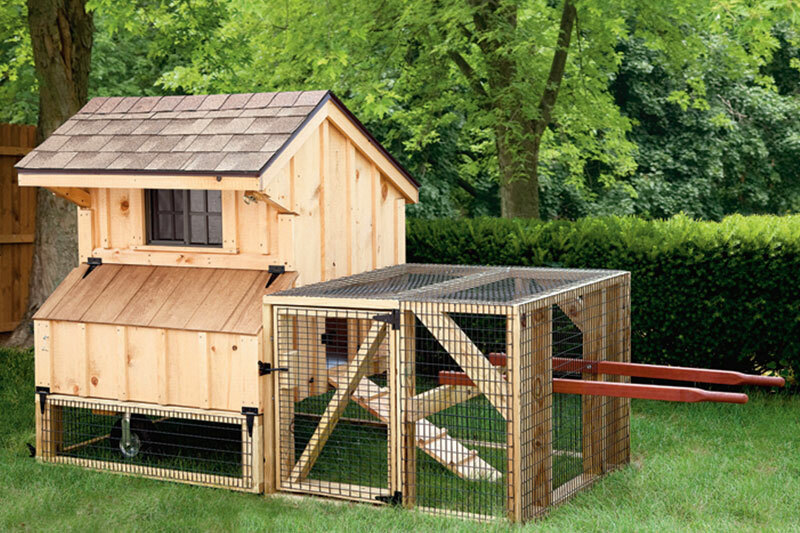 Need assistance choosing an option? 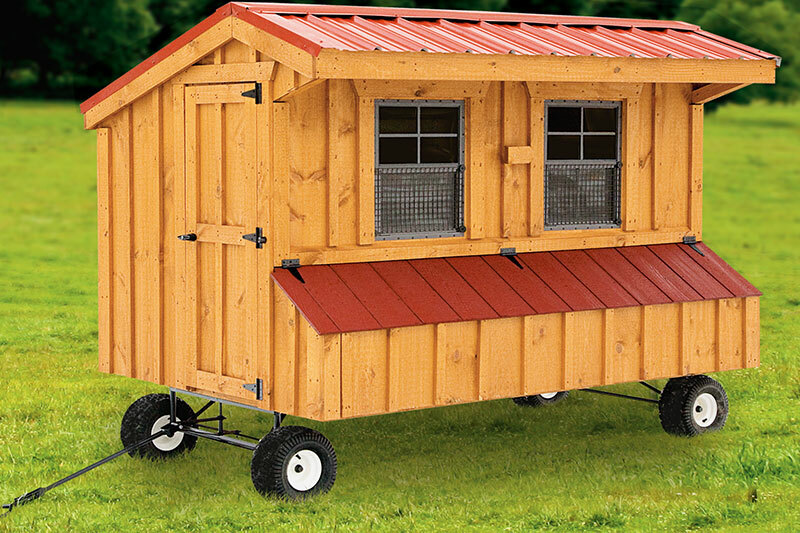 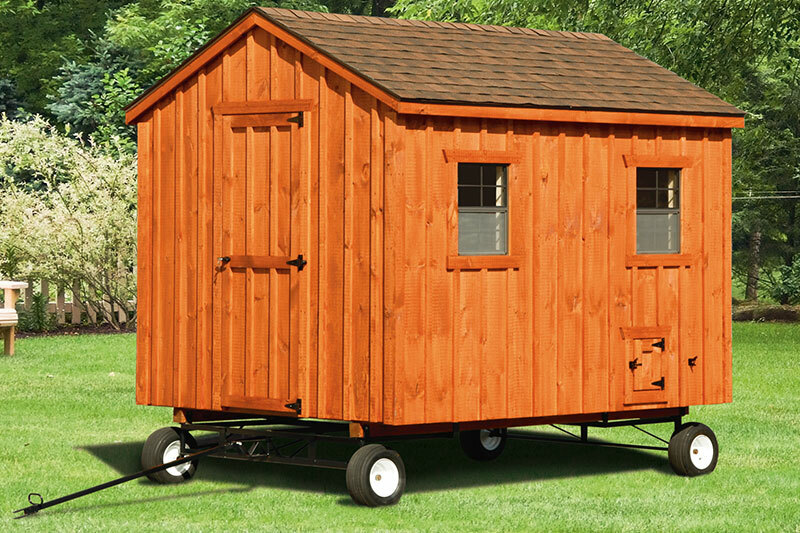 Contact us and we will help decide which hen house on wheels is best for you. 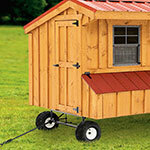 We can make most of our coops and runs portable by adding wheels.